Many people have called the death of Abiriga an insignificant one. The president even mentioned that it was a “senseless one” The people of Arua however disagree, and have shown the world the importance of their Member of Parliament. Yesterday, the West Nile capital was filled with riots like no other. It all started when the people high jacked the coffin of Ibrahim Abiriga, from a van and demanded to carry it on their shoulders. 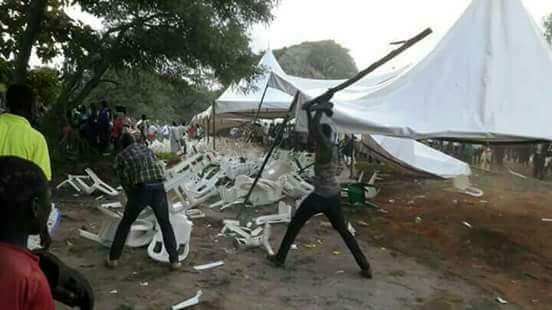 Those that were waiting at the his home, destroyed the chairs and tents that were set up for the occasion. 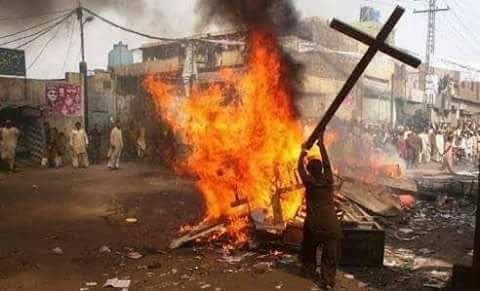 All this escalated into riots in town, where youths began to destroy everything yellow in their paths. They demonstrated that they did not want anything to do with the government. The youth have banned the president of Uganda from stepping in their municipality. 8 army mambas and 10 trucks of UPDF soldiers were deployed at the sight, and the RDC of Arua ordered them to use live bullets on the mourning youth. The police however refused. One of their motorcycles was also burnt yesterday, and BBS TV journalists attacked. The youth did not want to see any journalists, Policeman or government official. They demand for an answer.